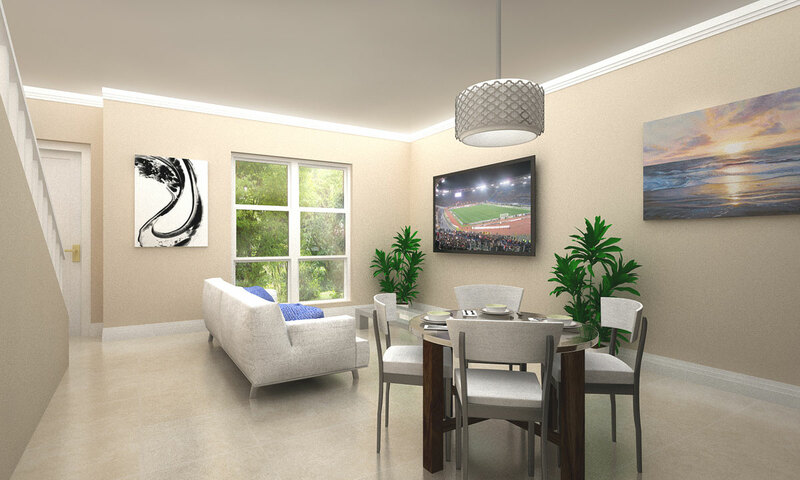 New Construction Townhomes starting in the $220’s. Welcome to Urbn Village in Oakland Park, Florida. 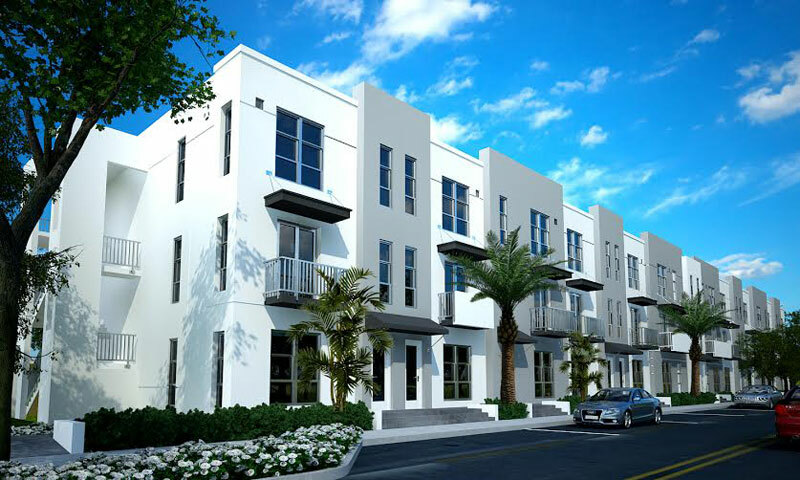 Ideally located between I-95 and our beautiful beaches, Urbn Village is a new development of contemporary townhouse and lofts, designed by award winning architect Gustavo J. Carbonell. This new development will include 7 two-story buildings and 3 three-story buildings built on 3.6 acres, Urbn Village is truly a master planned community. Owners and their guests will enjoy a swimming pool, a pedestrian friendly neighborhood designed with gated access, and a private landscaped dog park. The development will include 63 two-story townhouse, and 27 loft condominiums. 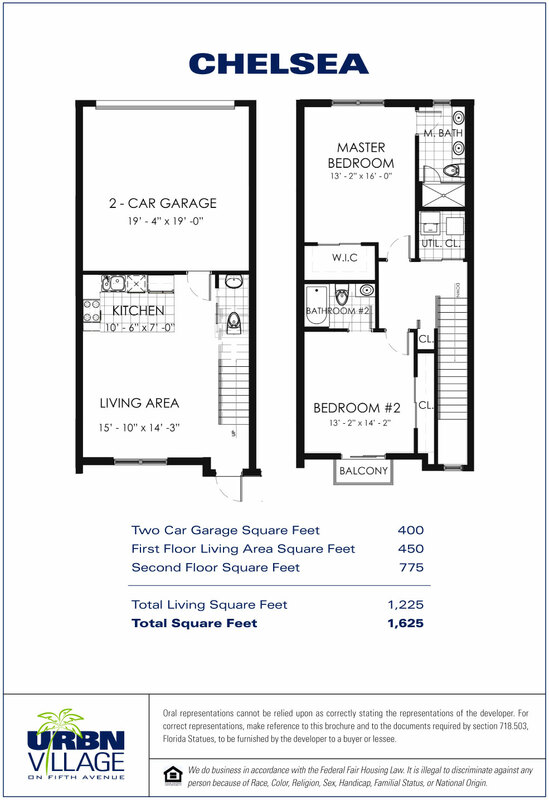 There are 4 floor plans to choose from, with pricing for the Phase 1 townhouse starting in the $220,000s. 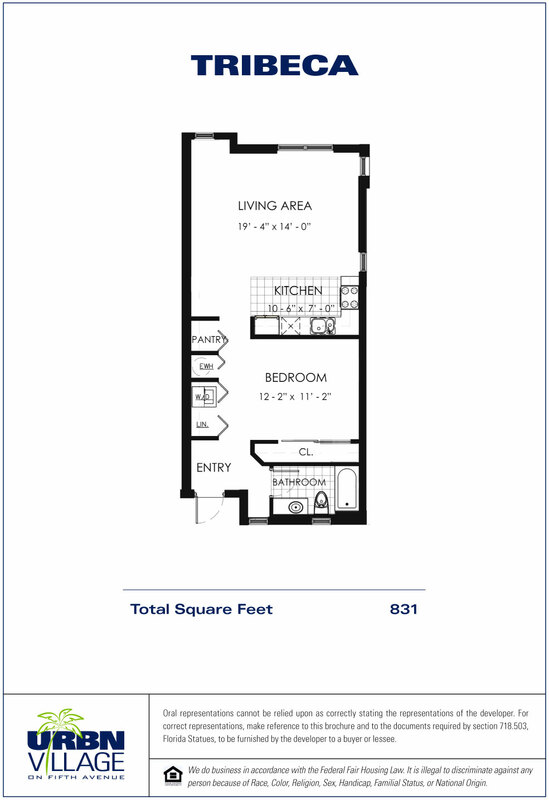 The townhouse model floorpans are The Chelsea and The Uptown. 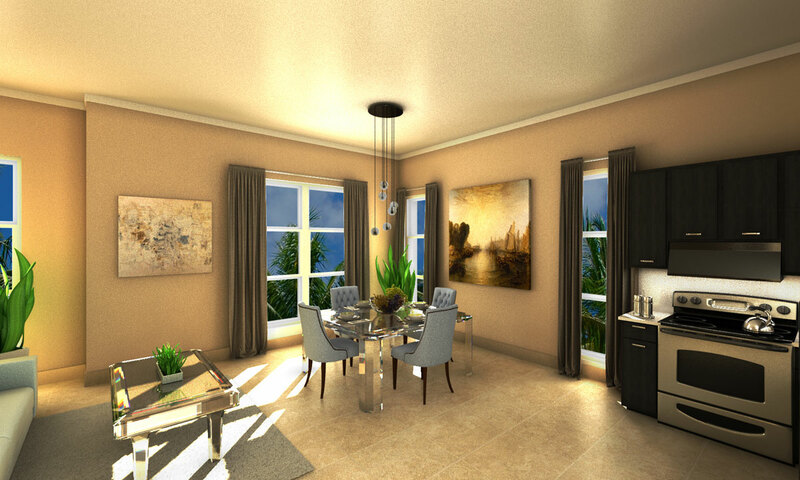 The Chelsea has 2 bedrooms, 2.5 bathrooms and 1,225 sq. ft. under air . 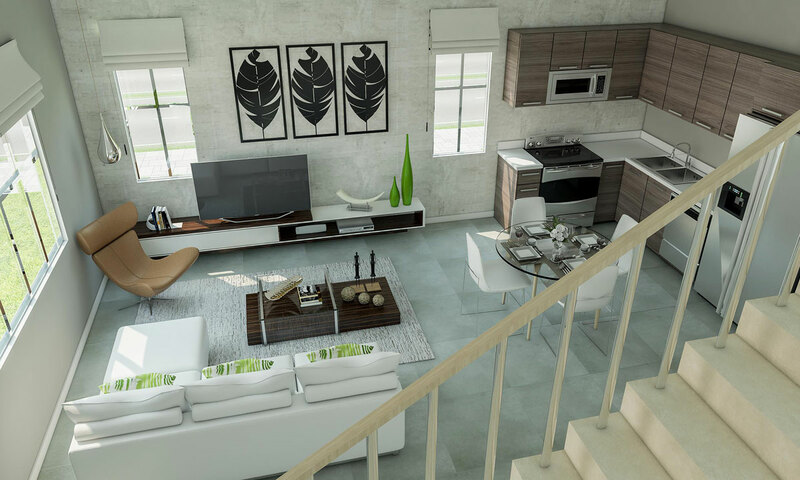 The Uptown is a residential/commercial combo, with a 1 bedroom, 1 bath, 1,102 sq. 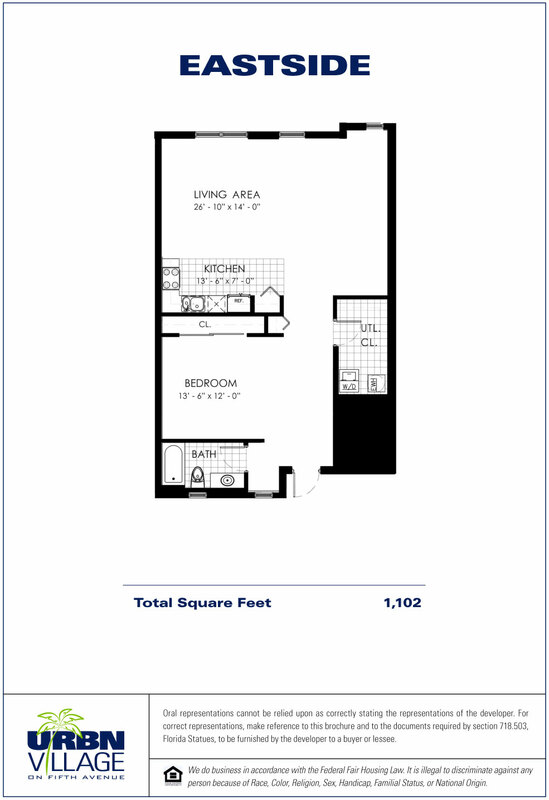 ft. living space on the 2nd floor, and a 460 sq. ft. office space with half bath on the ground floor. 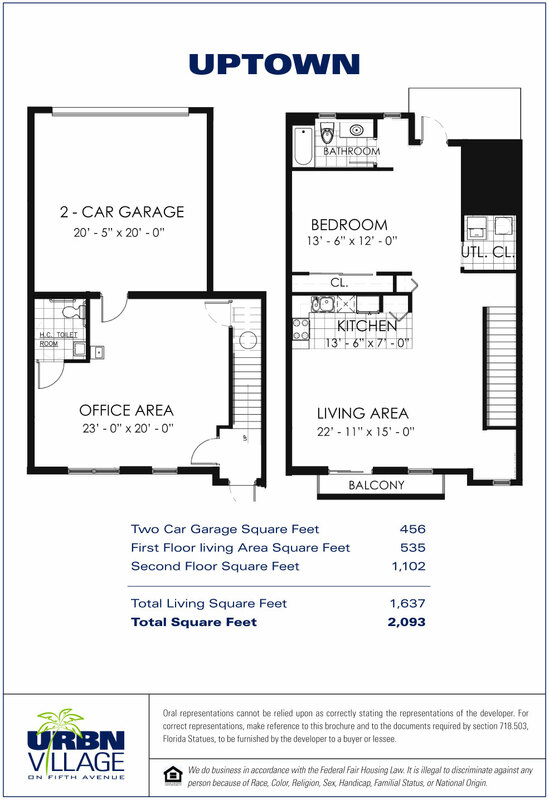 The condos are all located on the 3rd floor of buildings 1, 2, & 3. 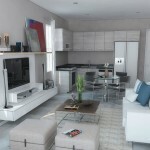 These are 1 bedroom, 1 bath lofts named The Eastside and The Tribeca. 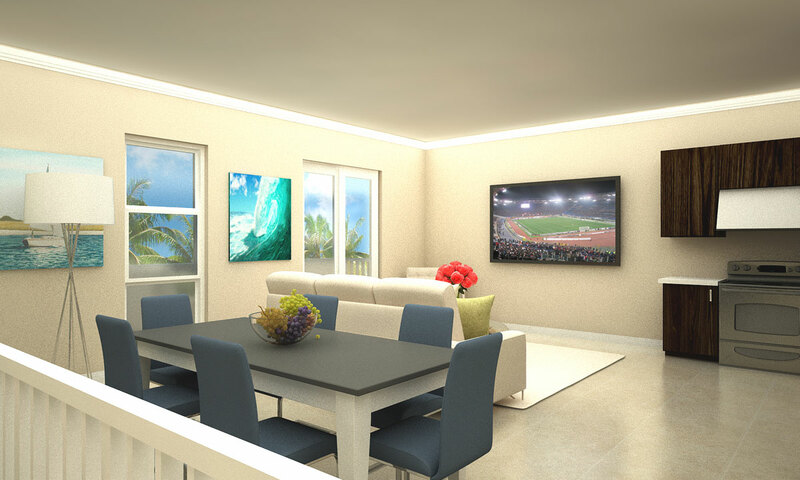 The Eastside is the larger model with 1,102 sq. ft. compared to 831 sq. ft. in The Tribeca. High-speed structured wiring network for phone, video and computers. 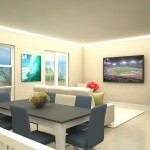 The project requires buyers to place a $10,000 reservation which will hold your unit at the current price. 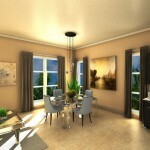 A few weeks later, the developer will provide the Purchase contract and will required the remainder of 15%. The remainder of the purchase funds are due at closing (No mid-contract 2nd payment!) As with most new construction projects, there will be a 1.75% Developer Fee that is passed on to the buyer. The developer is estimating Monthly Maintenance charges to be 0.20 cents per square foot. 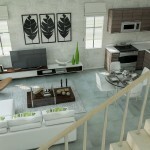 That equates to a range of $166 to $418 per month, depending upon your unit’s square footage. Reservations have begun on Phase 1 expected to be delivered by end of March 2016 and includes Buildings 5, 7 and 8 located on the southwest side of the site plan. 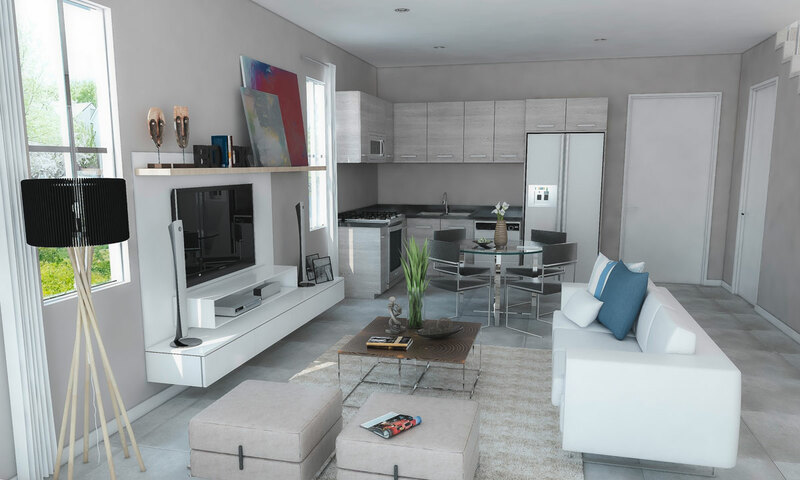 Don’t miss you opportunity to own a new, contemporary townhouse or condo that’s centrally located to all the best South Florida has to offer. Contact me today for more information and to reserve your new home!